The former Ferrari and McLaren Formula 1 driver's three-part analysis on why the sport – starting with grand prix racing – needs a new approach. Today he explains the basic flaw in racing's current template. Following the recent tinkering with the rules in Formula 1, there has been a lot of argument about everything that is wrong with the series and what should be done to fix it. Everyone with an interest in racing seems very passionate about this and there are almost as many proposed solutions as there are people with opinions. F1 is and always has been at the top of the ladder of motorsports, but in my opinion it’s not only F1 that needs to have a close look at the direction the racing has taken in recent years. Nearly every form of motorsport today has become completely dependent on aerodynamics – and, more specifically, aerodynamic downforce – to determine the ultimate speed of any given car. Each passing year, lap times get quicker until there is a rule change to slow the cars, usually in the interest of safety. Most frequently, this is done by reducing horsepower – a quick fix… until designers and engineers find a way around the problem by increasing grip levels through even better aerodynamics. In 2-3 years, lap times are typically back to where they were before the rule changes. In every form of racing, straightline top speeds are significantly lower today than they were in the mid-1980s yet lap times are much faster on every race track where it’s possible to make a reasonable comparison. So where is the speed coming from? Via massively faster cornering speeds. Nowadays for a driver it’s all about momentum. He or she is always trying to achieve the best possible minimum cornering speed as this will typically determine the best time over a lap. In the past, braking and exit speed were more the determining factors. - The difference between minimum speed mid-corner and top speed on the following straight is significantly reduced which reduces the opportunity for a driver to get a better exit than his rival in front and then have a run on him into the next braking area. - Braking distances are getting shorter and shorter as the top speed is decreased and grip level is increased. By nature this minimizes the opportunity for a driver to outbrake the car in front. - Most of the “challenging” corners are now gone, whether in F1 or a top level prototype as high-speed aero grip is now so enormous. Corners like Eau Rouge at Spa used to be a huge challenge to take flat even in an F1 car whereas today even the least capable are flat through there by their third lap in practice. It’s barely a corner anymore and it’s the same in an LMP1 or LMP2 car. - Every aero-dependent car (single-seaters and prototypes in particular) today relies primarily on aerodynamics at the front of the chassis as this affects what’s going on with the entire car. But when you follow another car, your front aero is inevitably ruined by the turbulence created by the car you’re trailing. This makes it even more difficult to carry sufficient speed to make a run on the car in front as the acceleration is not enough if the cars are equal in top speed. In Formula 1, there are no more “big balls” tracks or corners left. Today, it’s all about precision and hitting your marks perfectly, and of course understanding how to get a car dialed in with the endless adjustments of knobs and switches now available. Drivers have to play with them constantly to get the most out of a car yet most of the decisions on what button or dial to change is determined by engineers in the pit lane. Additionally, racetracks are now so sanitized that there is absolutely no punishment for going over the limit. The result is that every driver finds the limit within 5-10 laps by simply going beyond the track’s perimeter into generous runoff areas. Then they just peg their corner-speed back a bit from there for the next lap until they find the limit. There’s hardly a single corner left in racing where you have to “hang it out”. Lap times are literally determined by race control and how lenient they are to drivers going past the track limits. The essence of a truly great racing driver is a combination of raw natural talent, a good understanding of his car and ability to report its changing dynamics to his engineers. The best drivers have a highly developed ability to “read” a race - to consistently make the most of the situations they find themselves in and score the maximum points allowed by the car on a given day. But above all, a great racing driver can combine this ability with the will to stick his neck out when needed… When it really matters, an ability to push past the limit of what both he and the car are normally capable of and make a difference. This is what every real racing driver craves. Nothing in this world can compare with the feeling of stepping into the unknown and controlling your car on the absolute limit of adhesion, with throttle and steering coordinated perfectly. 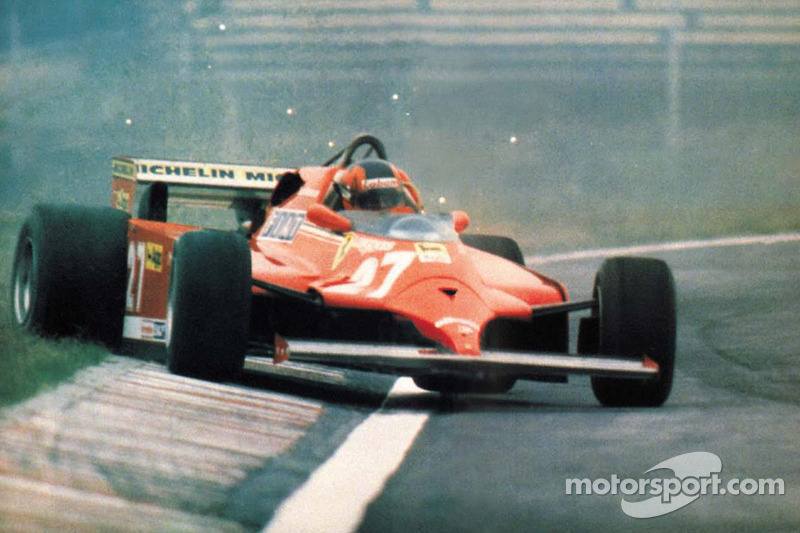 To come out of a corner knowing you’ve just gained another two or three tenths of a second. This is what we live for. To watch Senna qualifying at Monaco was pure bliss. But even more astounding is some onboard footage I came across of Juan Manuel Fangio racing around the old Nordschleife Nurburgring in the 1950s. It made my eyes well up, and is the most humbling piece of racing footage I have ever seen. It’s absolutely beautiful to watch and should be an inspiration to every driver. The steering never pointed straight for more than a second throughout the entire lap and he basically destroyed all his competitors. It’s time to go back to the drawing board and look closely at the philosophy of auto racing, revisiting the entire concept of how racing cars are designed and built. New technology is fascinating but racing in any form should, in my opinion, always be about drivers, first and foremost.